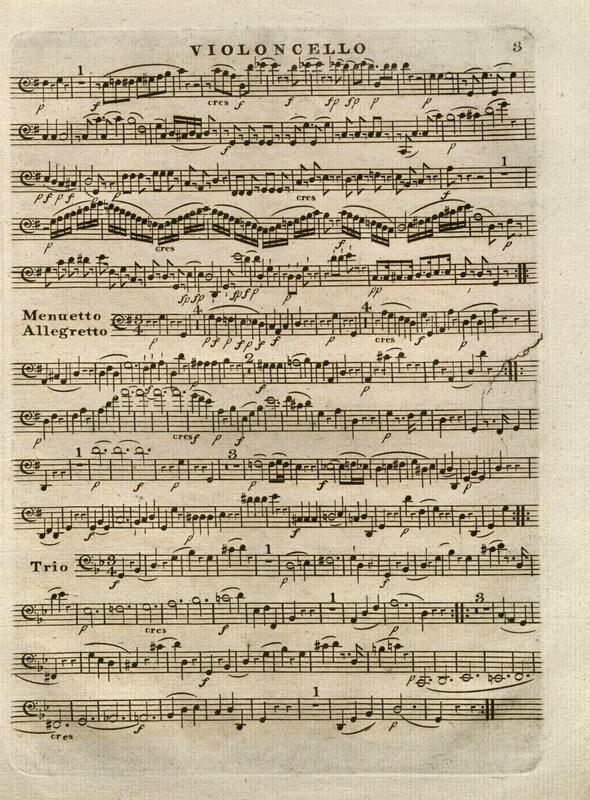 This early edition of Mozart’s string quartet K. 387, shown above, was published in London circa 1797, as part of a set of three quartets: K. 387, 421, and 458 (“Hunt”). Together with K. 428, 464, and 465 (“Dissonance”), these quartets are known as the “Haydn Quartets,” a set of six works composed by Mozart in Vienna during 1782-1785 and first published by Artaria in 1785, with a dedication to Joseph Haydn. A generation older than Mozart, Haydn is considered the father of the string quartet as a modern form of composition, and his works in this genre exerted a strong influence on Mozart. Haydn and Mozart were friends as well as colleagues, and are said to have performed quartets together in Mozart’s home in Vienna, with Haydn on first violin and Mozart on viola. Mozart, Wolfgang Amadeus. 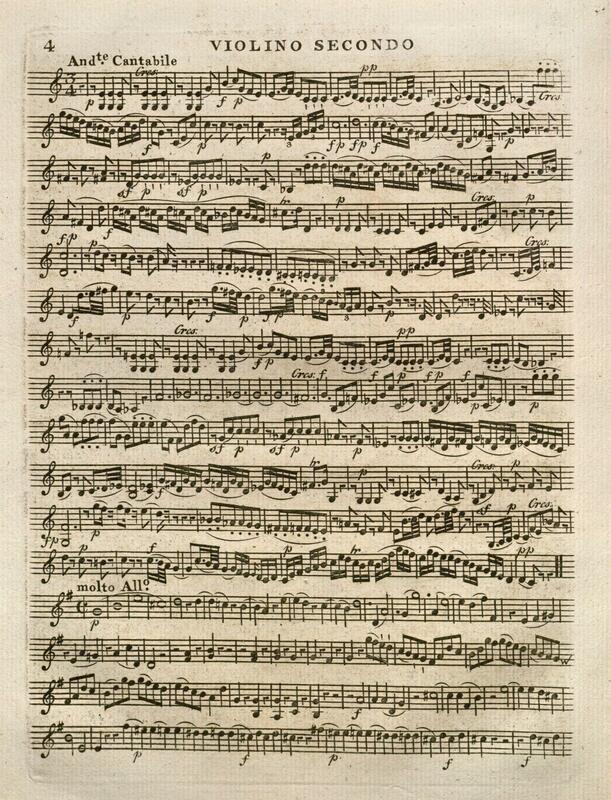 Quartets, strings, K. 387, 421, 458 (London: L. Lavenu, circa 1797). 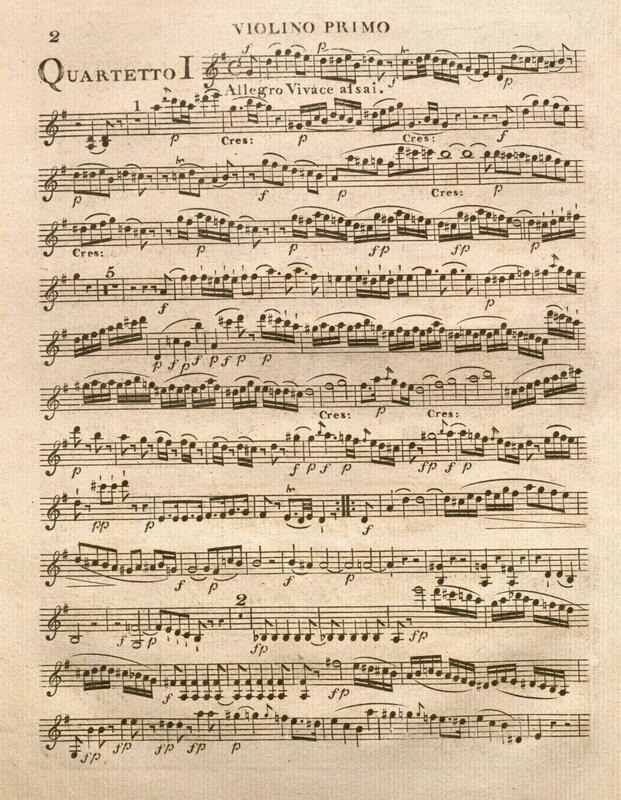 Part for first violin, cover. 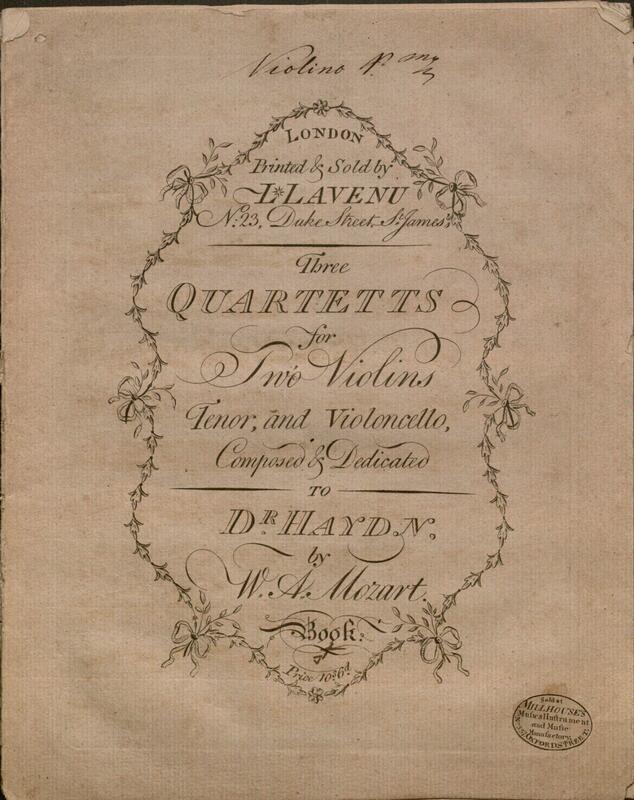 The Hanover Royal Music Archive’s edition of Mozart’s first three Haydn quartets was published by Lewis Lavenu (died 1818). Lavenu founded his London music publishing business at no. 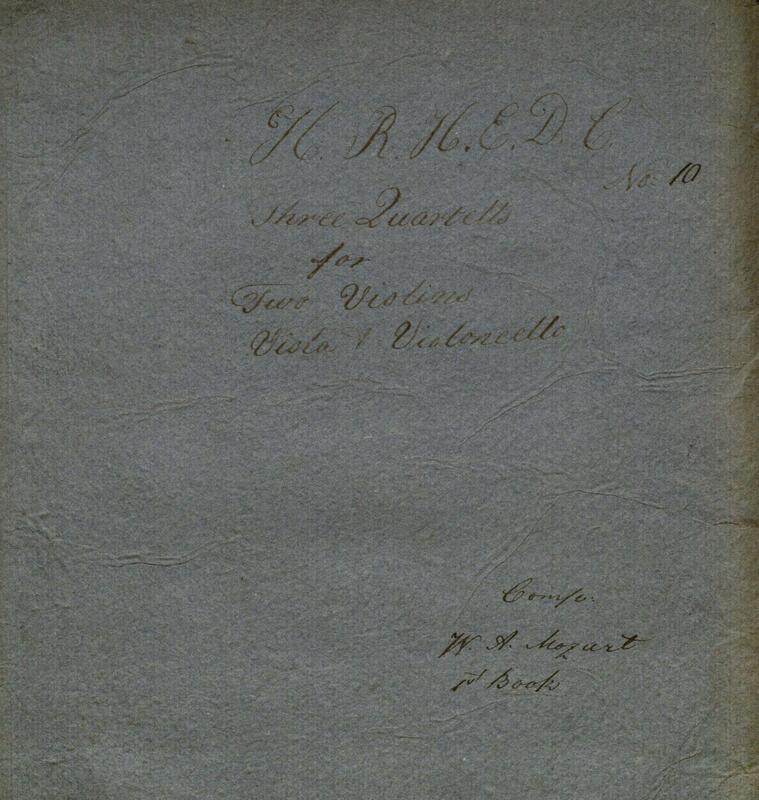 23 Duke Street by 1796; the quartets appear to have been published soon after, as the paper is watermarked 1797. 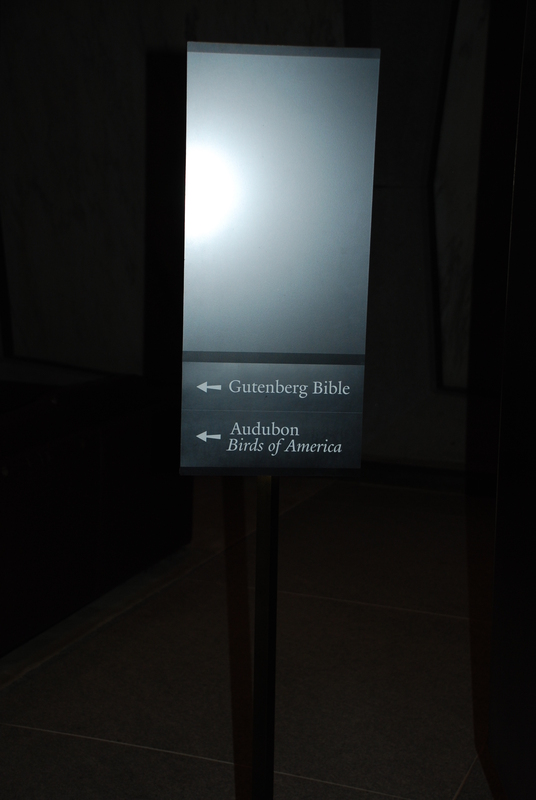 Manuscript annotations identify each part and indicate that these parts are the “1st” of two books, each of which contained three of the six quartets. Lavenu formed a partnership with Charles Mitchell in 1802 and continued his business under the name Lavenu & Mitchell. Mozart’s Haydn quartets were evidently popular with English musicians, as they were reissued by Lavenu & Mitchell circa 1805. Mozart, Wolfgang Amadeus. Quartets, strings, K. 387, 421, 458. (London: L. Lavenu, circa 1797). 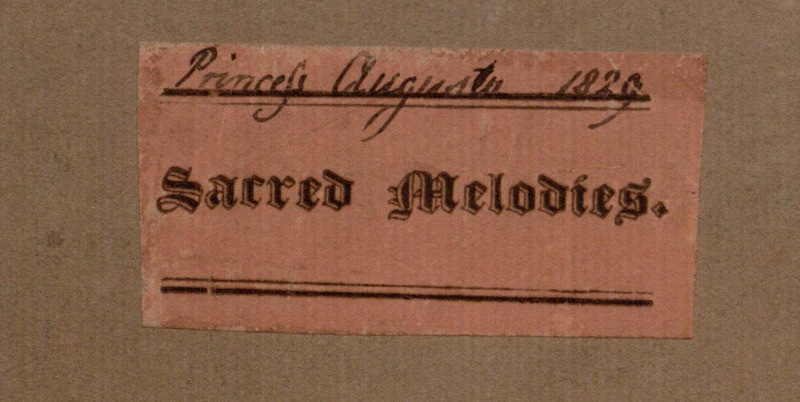 Part for first violin, label on cover. The Milhouse family (sometimes spelled Millhouse) were prominent makers of woodwind instruments in Newark and London. 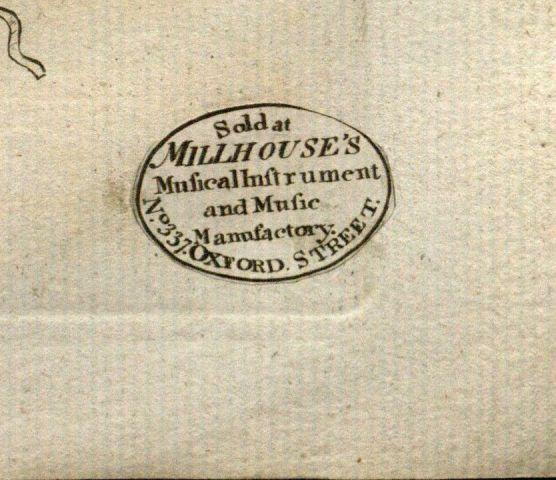 William Milhouse (1761-1834) had opened his London shop by 1787 and moved to 337 Oxford Street by end of 1797. Milhouse continued as a highly successful woodwind maker through the 1830s, claiming association with the royal family as manufacturer to the Dukes of Kent and Cumberland. While primarily an instrument maker, he also published and sold music, as is indicated by the label on the quartets. 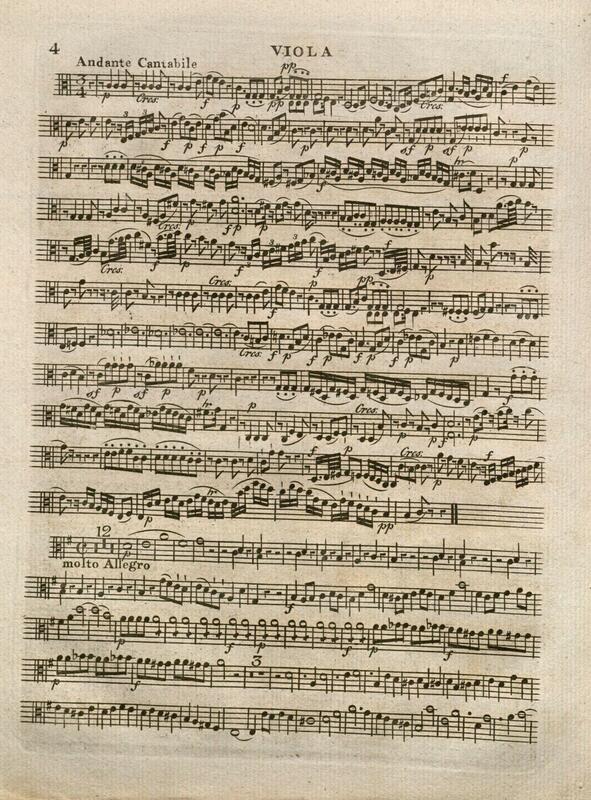 Mozart, Wolfgang Amadeus. 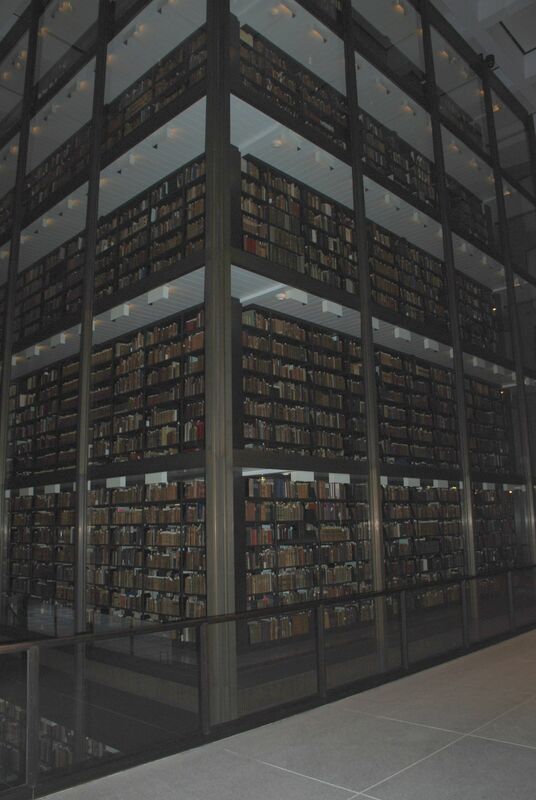 Quartets, strings, K. 387, 421, 458. (London: L. Lavenu, circa 1797). 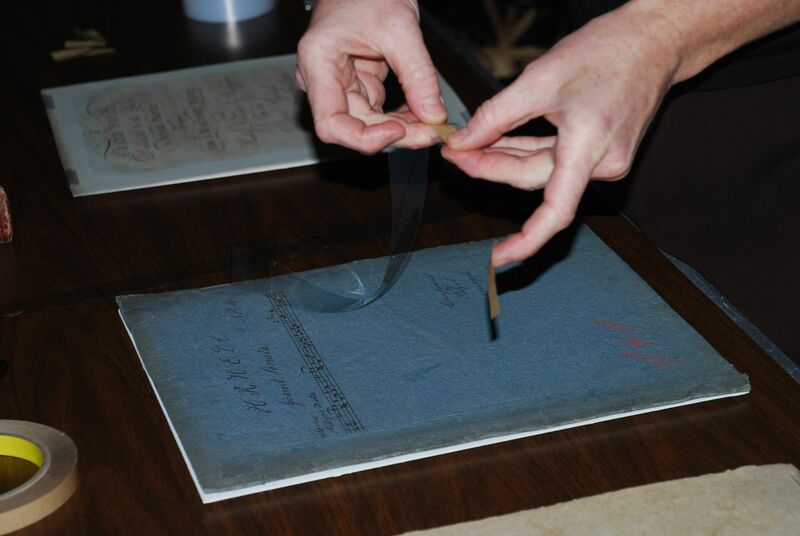 Original folder, from music of the Duke of Cumberland’s band. 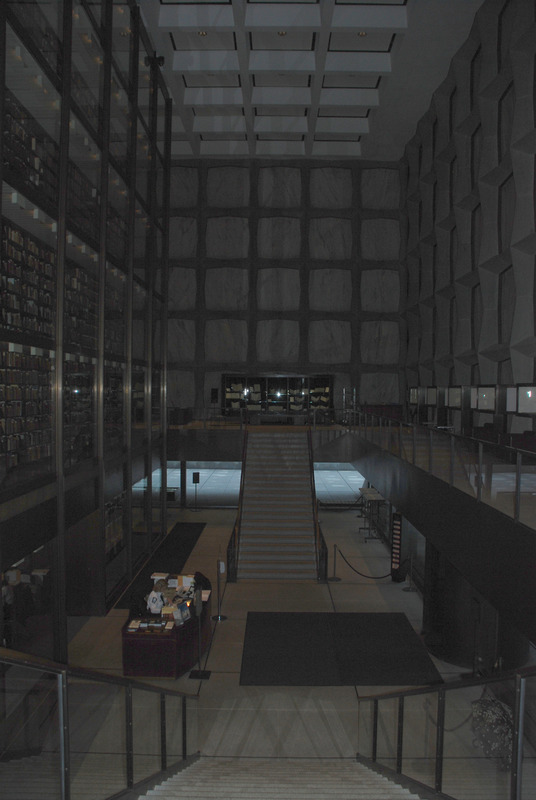 Originally housed in this folder headed “H. R. H. E. D. C.” (His Royal Highness, Ernest Duke of Cumberland), the quartets are part of music performed by the private band of Ernest Augustus (1771-1851), Duke of Cumberland and later King of Hanover. 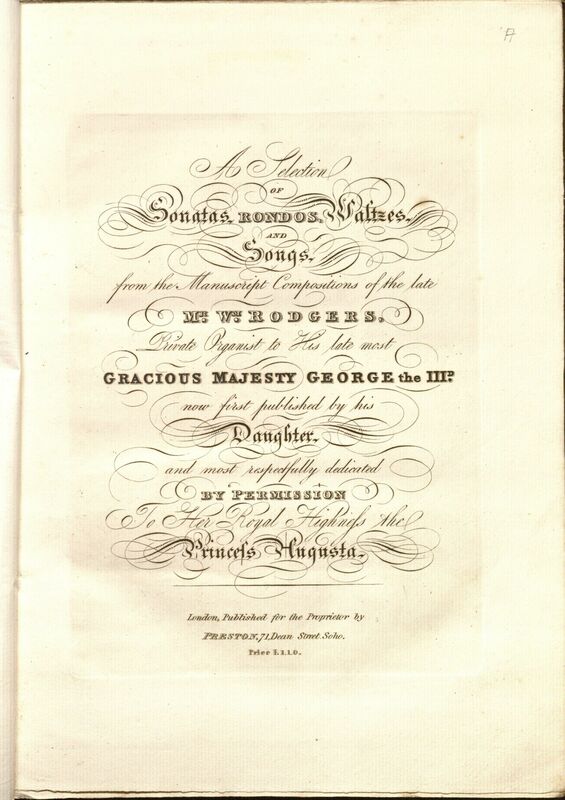 Though most music of the Duke’s band is for wind band or orchestra, some chamber music is present, indicating both a flexible range of musicians employed by the Duke, and his interest in hearing these particular works. 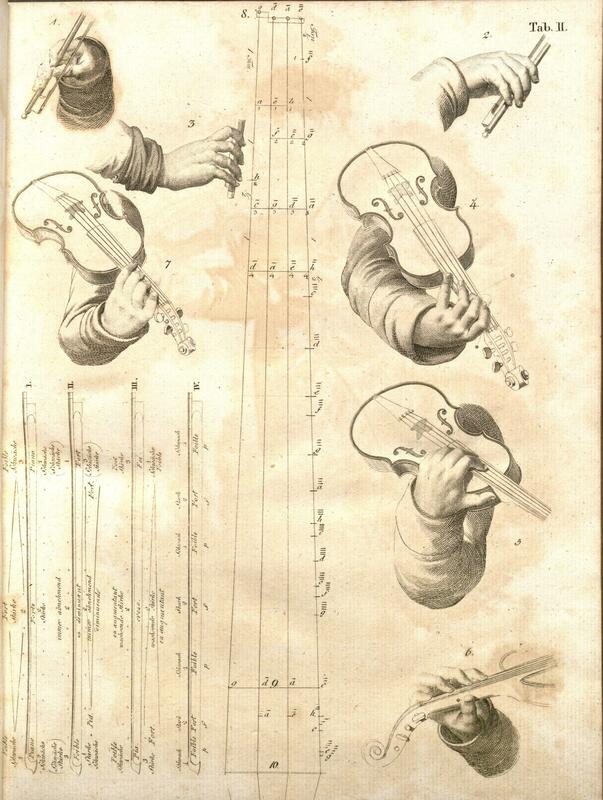 Bartolomeo Campagnoli (1751-1827), an Italian violinist and composer born in Bologna, toured throughout Europe as a performer during the 1770s-1780s. 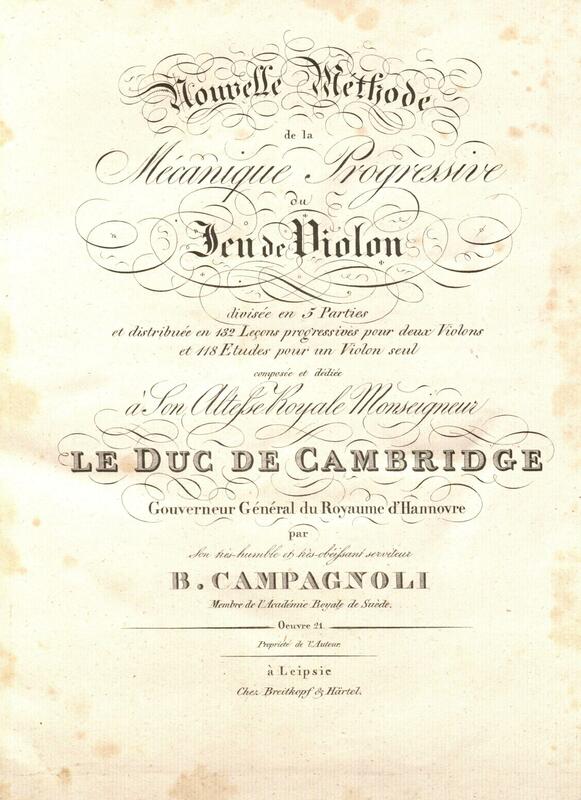 Campagnoli worked on his Nouvelle méthode for violin while serving as music director at the court of the Duke of Courland, Dresden, 1779-1797, and as leader of the Gewandhaus Orchestra, Leipzig, 1797-1818. He completed the work in Hanover, where he settled in 1820 with his two daughters, who were pursuing careers as singers. Published in 1824, the Nouvelle méthode was dedicated to Prince Adolphus, then vice-regent of Hanover. Prince Adolphus (1774-1850), one of the younger sons of George III, became Duke of Cambridge in 1801, and served as vice-regent in Hanover from 1816, during the reigns of his brothers George IV and William IV, until his brother Ernest Augustus became King of Hanover in 1837. 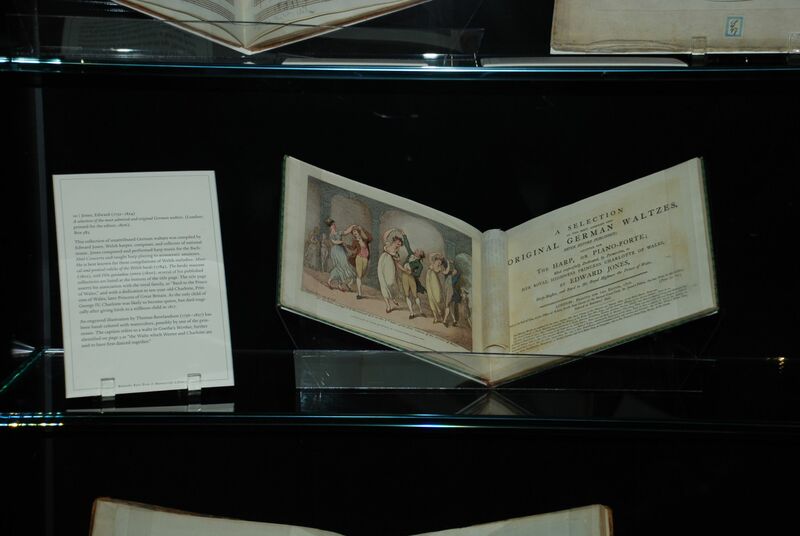 The Archive contains three copies of this work: two unbound as issued by the publisher, and one in a royal binding, dated at Hanover, 1823. It is unclear why the date on the cover predates the publication date: possibly a copy was given early to a royal patron, or perhaps the date on the cover is incorrect. 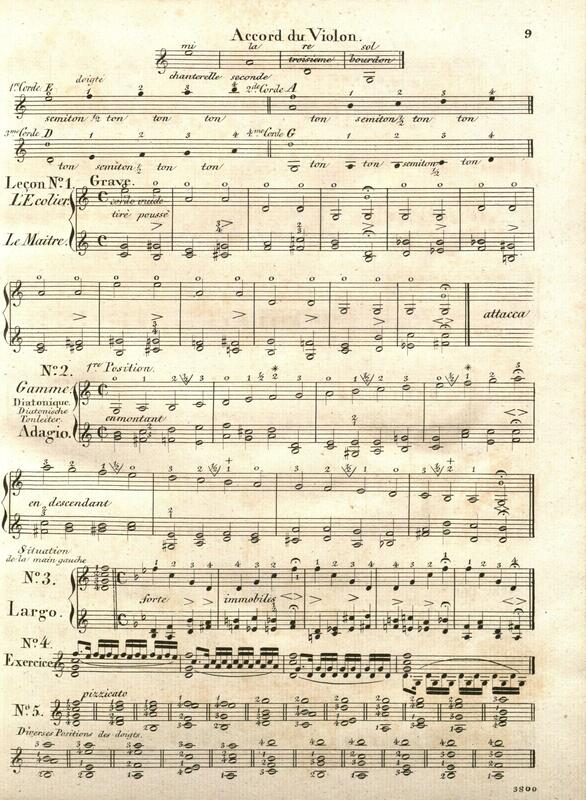 Contents of the Nouvelle méthode are in five parts, covering the elements of music notation and violin technique, with progressive exercises. 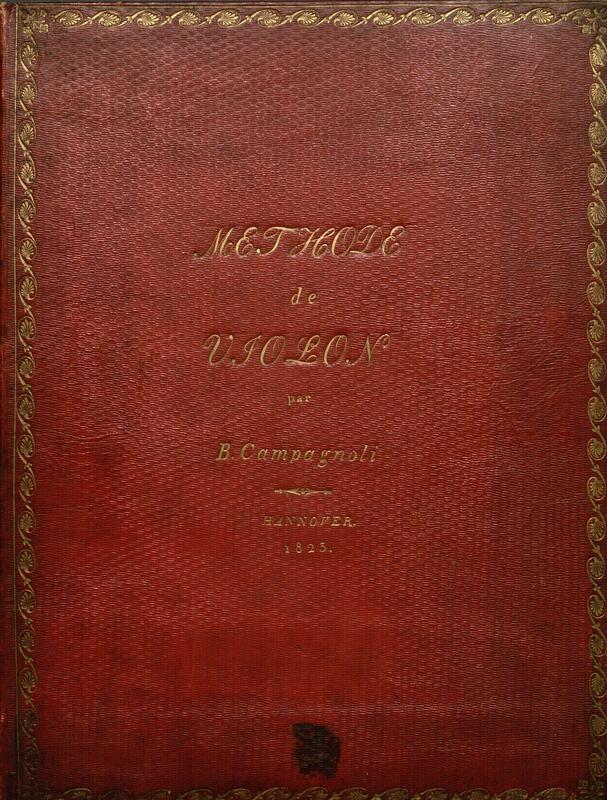 Campagnoli achieved more lasting success with his pedagogical works than as a composer. 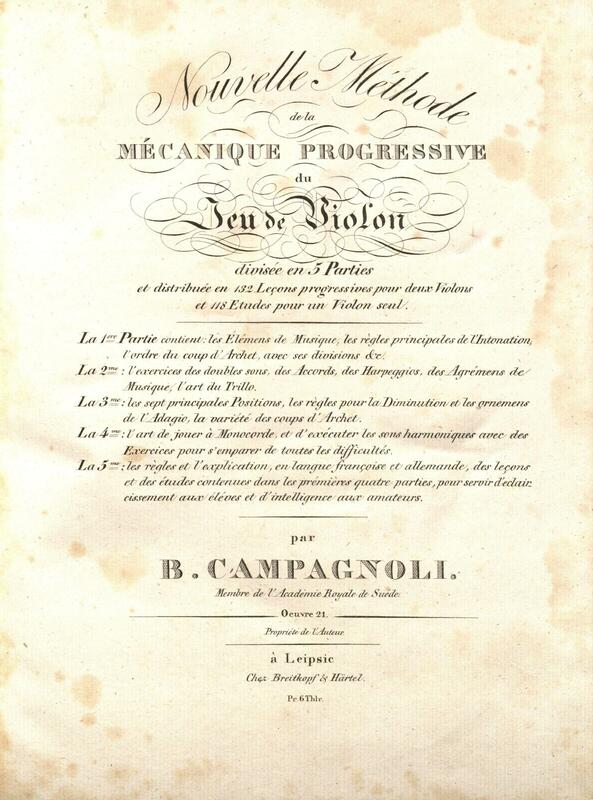 His Nouvelle méthode for violin was published in Italian, English, and American editions. He remains best known for his 41 caprices for viola, op. 22, which are still in use by violists. 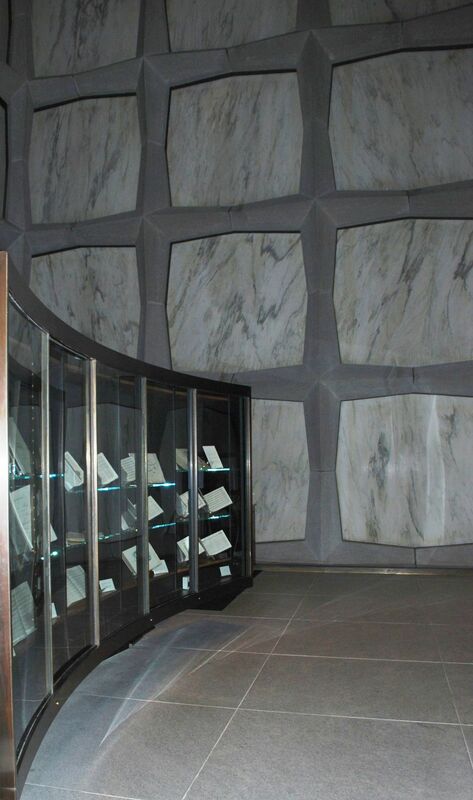 The Archive contains several theoretical works on music that were supported by members of the royal family, either as dedicatees or subscribers. These are typically works of musicians who also received patronage as composers and performers. 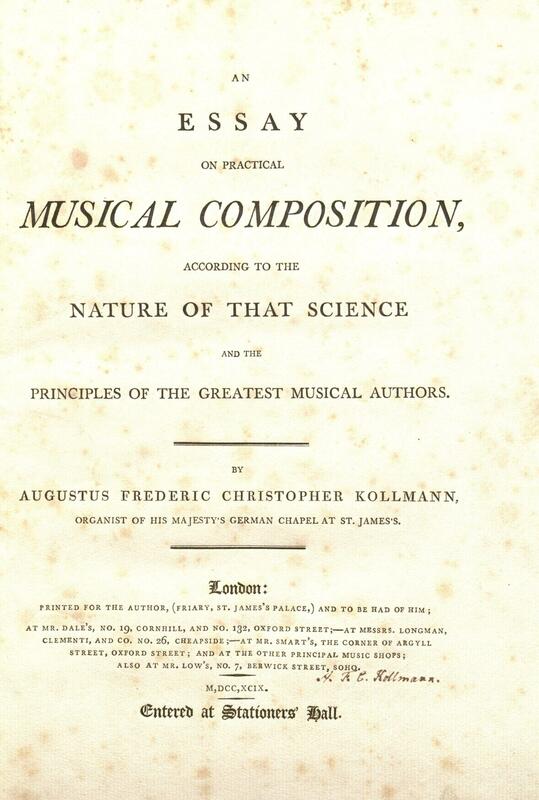 An example is Augustus Frederic Christopher Kollmann (1756-1829), who is represented in the Archive by compositions for keyboard and voice, An Introduction to the Art of Preluding and Extemporizing in Six Lessons for the Harpsichord or Harp, and An Essay on Practical Musical Composition. Kollmann was born in Germany, where he began his career as an organist and teacher before serving as organist and schoolmaster at the Royal German Chapel in St James’s Palace, London, from 1782 until his death in 1829. During his career in England, Kollmann published works in English on instrumental instruction, music analysis, harmony, and composition. 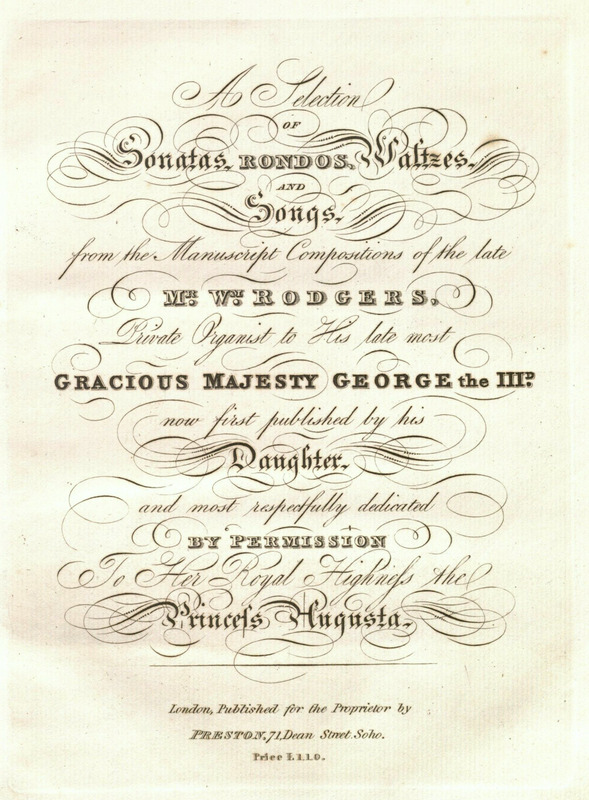 His Essay on Practical Musical Composition (1799) was dedicated to George III, who owned a copy of Kollmann’s previous work, An Essay on Musical Harmony (1796). 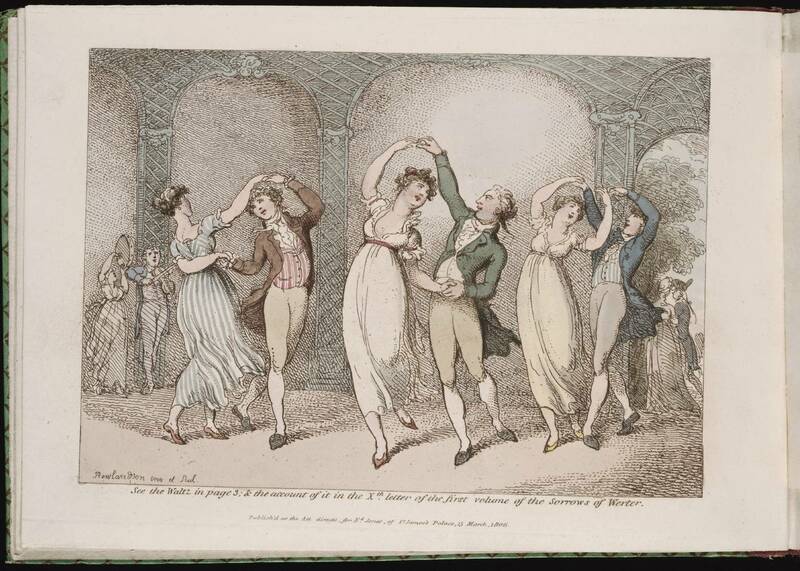 The subscriber’s list was headed by Queen Charlotte and included the Princess of Wales, the Duke and Duchess of York, and Princesses Augusta, Elizabeth, and Mary, as well as Charles Burney, John Peter Salomon, and other leading musicians. Kollmann’s signature, indicating his ownership of copyright, appears on the title page of the Archive’s copy, shown above. Contents address composition of fugues, canons, sonatas, and symphonies, and styles of vocal, instrumental, and national music. Kollmann was influential in the revival of interest in J. S. Bach’s music in England; musical examples in the Essay include excerpts from Musikalisches Opfer and Die Kunst der Fuge. 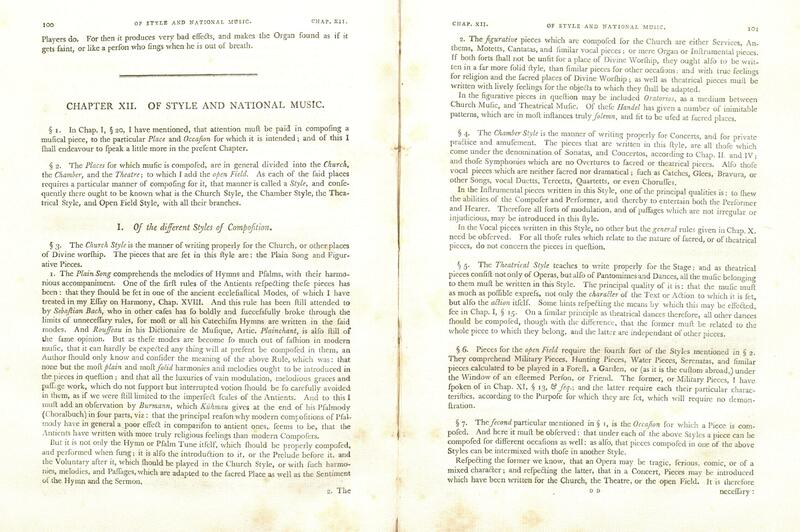 Kollmann cited Haydn’s London Symphonies as a source for his ideas on the newer compositional forms of sonata and symphony, and the Essay contains an early description of sonata form. 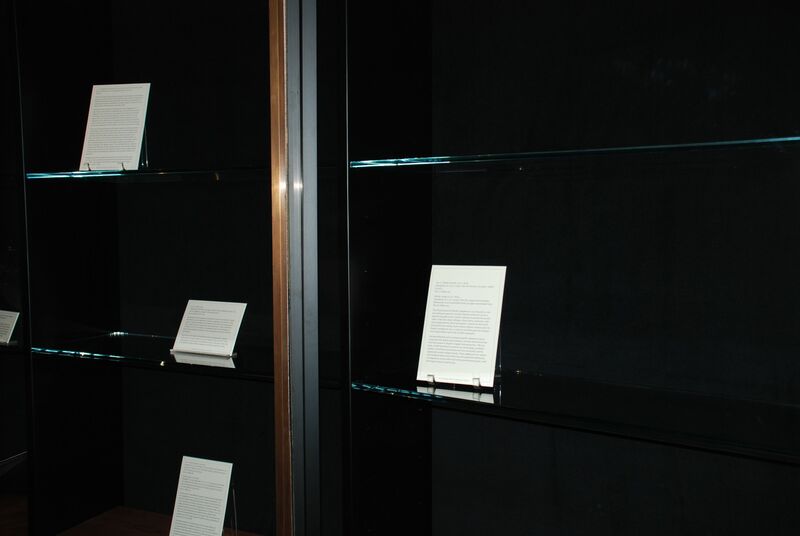 In the section shown above, “Of Style and National Music,” Kollmann discusses music for church, chamber, theater, and open field, all genres well-represented in the Archive.